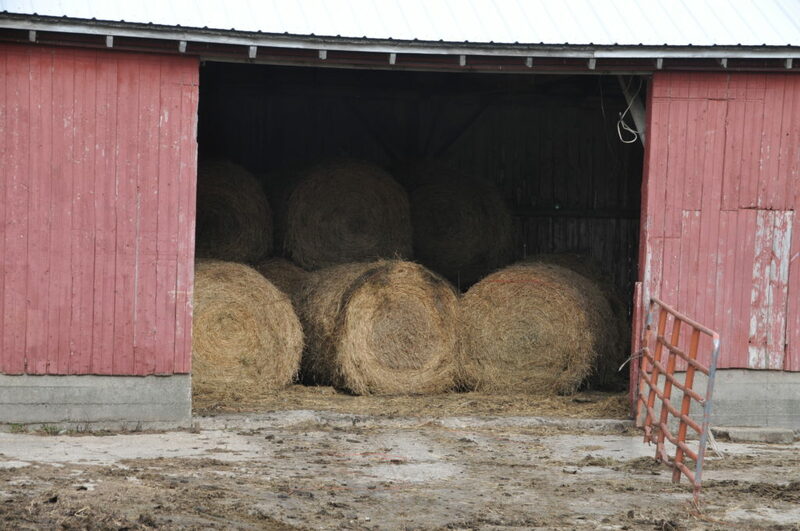 Daryl usually has most of our hay made into round bales and stores them at the other farm until he gets time to have them moved to ours. So he spent the weekend cleaning out the cow yard and hauling manure. After that was done, then he started to move in the hay bales for the winter and then gave the cows some bedding. At first I was thinking that he must really woke up this morning feeling ambitious. But as the day went on and as I was checking on him, I came up with another possibility for his over ambitious day. Now first of all I have to say that I know that he wanted to get this all done while he had time. This entry was posted in Farming. Bookmark the permalink. Ruth on August 28 – Happy Birthday Kyle!